http://newiprogressive.com/images/stories/S5/walker-terry-gou-foxconn-flag-s5.jpg Company profiting from Foxconn project is run by Jon Hammes, who currently serves as the finance chairman for Gov. Walker’s re-election campaign. 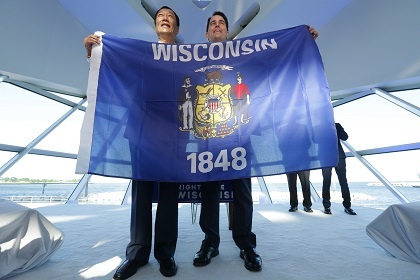 MADISON, WI – Questions are being raised as connections between Foxconn and Gov. Walker’s campaign were recently brought to light. The company leading the Foxconn development project is run by Jon Hammes, who currently serves as the finance chairman for Gov. Walker’s re-election campaign.